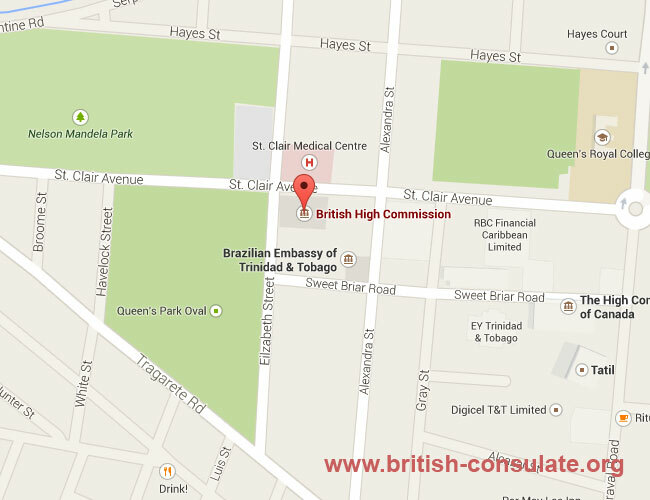 The UK Embassy is located the Port of Spain in Trinidad. If you have lost your passport in Trinidad and Tobago you can contact the British embassy for a new British passport. You can also seek help in the event of an emergency such as an accident or an arrest. You can also register your marriage, birth of your child or the death of a British national. If you wish to visit Britain then you can apply for a visit visa for the UK or a marriage or fiancee visa. The visa time lines are listed below. If you are unsatisfied with the level of service that you have received from any section of the High Commission please email us citing the nature of your complaint and we will endeavor to bring some resolution to this issue within 20 working days.